The DockATot baby lounger has a unique shape and design for a snug place for your baby to rest. All materials used are sourced from top-quality suppliers and are Oeko-Tex certified. Plus, all covers are machine-washable and safety-tested. If you’ve been itching to plan a vacation inspired by your favorite celebrity couple but don’t want to mess up your baby’s sleep schedule, a DockATot will calm your worries. It’s portable, making it easy for your child to snooze on-the-go. Whether you’re enjoying the sunshine at the beach or in a cabin on a snowy mountaintop, your baby will sleep soundly, thanks to the DockATot. Of course, these celebrity baby loungers are super chic and come in a selection of stylish colors. They’re also available in two sizes: Deluxe and Grand. The Deluxe is meant for babies from birth to nine months. It provides a safe sleeping spot, facilitates tummy time, prevents flat head syndrome, and is the perfect place for diaper changes. The Grand is for children from nine months to three years old. 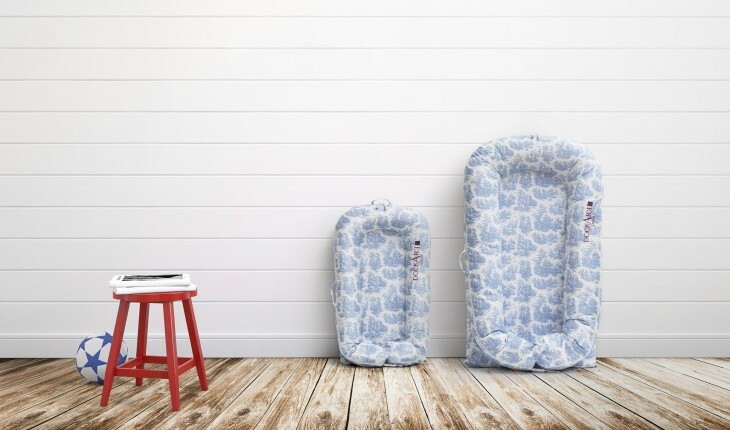 It’s perfect for bed transitioning, as the air permeable bumpers act like regular bed bumpers to help little ones feel snug and secure in their new big kid beds. DockATot is a Mom’s Choice Award, TillyWig Award and Silver NAPPA Award winner and has earned the National Parenting Center Seal of Approval. It’s also won the Must-Have Award among celebrity moms and dads. For more information about DockATot, visit DockATot.com.